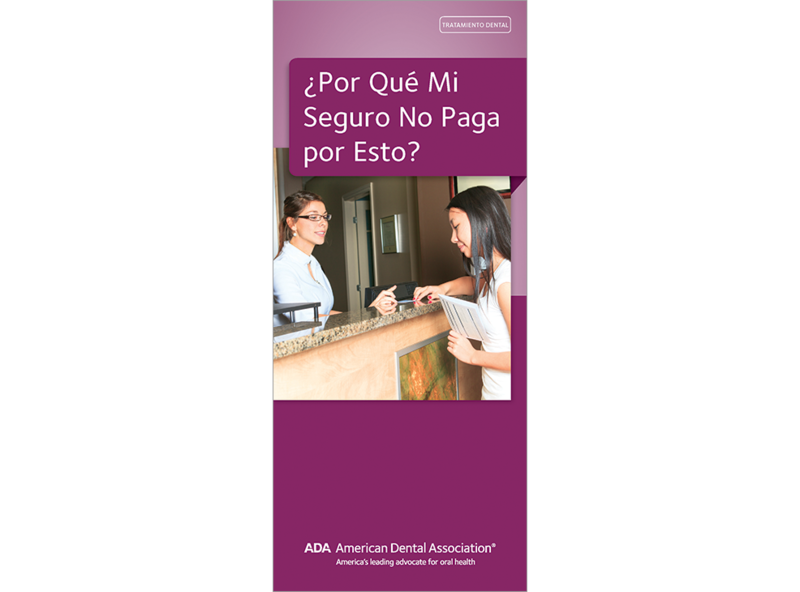 Position yourself as the patient’s ally in the quest for dental health with this valuable brochure, now available in Spanish. Conveys the point that dental coverage is not based on what the patient needs or what the dentist recommends; it is based on what the employer pays into the plan. Sheds light on cost-control measures used by dental benefit plans, such as UCR, annual maximums, preferred providers, and bundling. Encourages patients to prioritize their dental health. 8-panel brochure, pack of 50. PERSONALIZED Why Doesn't My Insurance Pay for This?